Before we get started, let's give a super shout out to my girl Kim of http://caffeinatedbookreviewer.com/, who lovingly does her weekly meme every Sunday about news, reviews, books and great info. Last week she celebrated her 4 year blogoversary and we're super proud of her hard work and dedication. Stop by to wave at Kim when you have the chance. One thing that stands out in my mind from last week is having a few wrapped candies of Ferrero Rocher® thrown at me in the store by a really animated customer. The cashier was entering all of the merchandise into the register, when the lady realized she wanted a snack. In her haste to get that candy on the conveyor before the cashier finished, she grabbed those balls and somehow threw them all over the place, hitting me in the process. We were surprised to see all those flying balls and giggled hysterically. She felt really bad and bought me a box of candy, (I tried to decline, but she wasn't havin' it) along with a few others who'd been playfully attacked. Very cool lady! Arrange 16 of the graham crackers in the bottom of an ungreased jelly roll pan, 15 1/2x10 1/2x1 inch. Spread frosting on top of each cracker. Spread marshmallow creme on one side of remaining crackers. Cut ice cream crosswise into four 3/4-inch-thick slices. Cut each slice into fourths to make 16 pieces. (Freeze remaining ice cream for another use.) Place one ice cream piece on each cracker in pan. Top with remaining crackers, marshmallow sides down, pressing lightly. 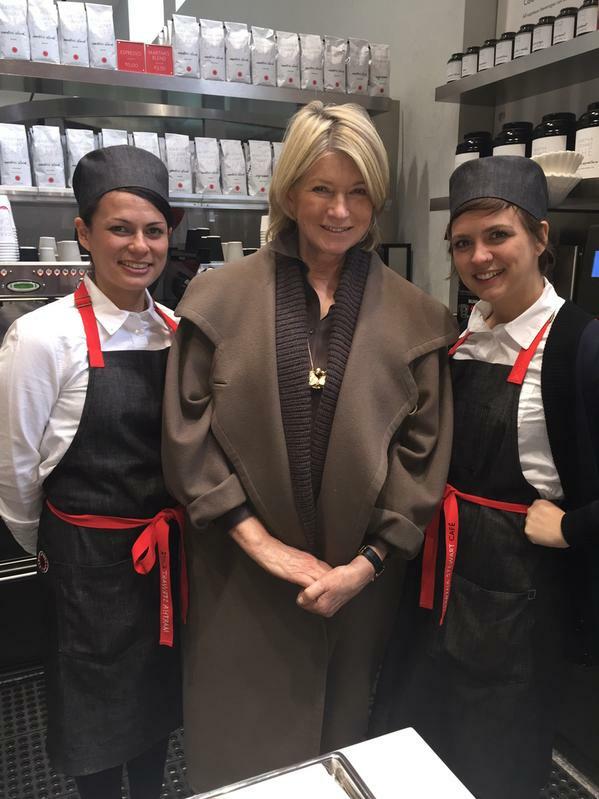 On March 12 of this year, Martha Stewart opened up a cafe in the building she owns. If you live in New York, or are just there for a visit, be sure to check out her special tea and coffee blends and pastries at 601 W 26th St, New York, NY 10001. An excellent home chef, my mom did everything she could to teach me to cook when I was a kid and I kept coming up with excuses. I was going to be a career woman so I wouldn't have time to cook, or I planned to travel and visit lots of exotic restaurants. She told me that the way to a man's heart was through his stomach, which made absolutely no sense to me. As a tomboy, all I cared about was climbing fences or playing sports with the guys, and there were no thoughts of romance with any of them! (lol) Needless to say, by the time I did get married, every meal was a disaster. The noodles for spaghetti were sticky and thick, eggs were burned or brownies were so hard they were used for target practice. The only thing I never screwed up was a cheeseburger! (lol) I figured it out gradually, but because I'm a Book Nerd, I had to have cookbooks to help. I don't use them as much now, but over the years, I've managed to collect about 223 cookbooks, some dating back to the 60's. Now, thanks to the Food Network and all those cookbooks, I can make a zillion types of gourmet cheeseburgers, but I'm not ready for any professional stuff. 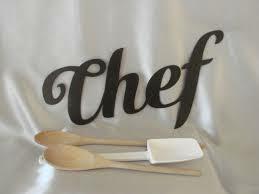 Are you a mini master in the kitchen and get complimented on every meal you make? Ever wondered if you can turn your culinary genius into cash? Below are 3 upcoming events to enter for the chance to win bragging rights and moola. Submit your better — more nutritional — sandwich including one or two slices of an Arnold®, Brownberry® or Oroweat® bread product, depending on category. The five categories are: Open-Face Artistry; Breakfast in Bread; Love, Healthfully; Creative Classics; and Fueling Good. 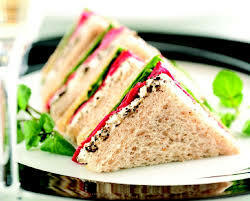 Include a short description of how your sandwich is better in terms of health and taste. The sponsor will donate one loaf of bread to Feeding America for each Entry and vote submitted, up to 100,000 loaves. 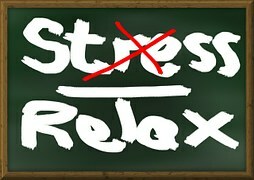 Open to legal residents of the 50 United States, DC and PR who are age 18 or older and have reached the age of majority. 5 Category Prizes (1/category): $5,000 check. Click here for contest information. 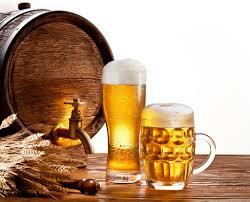 Enter your original recipe which uses beer as an ingredient. Open to legal residents of the 50 United States and DC who are age 18 or older. Grand Prize: $500 shopping spree at Lowes Foods and recipe will be featured in an upcoming Lowes Foods ad in Our State magazine, in addition to being featured on ourstate.com, lowesfoods.com, social media, and on Lowes Foods in-store recipe cards. Second Prize: $250 shopping spree at Lowes Foods. Third Prize: $100 shopping spree at Lowes Foods. 2 Honorable Mention Prizes: $20 gift card to Lowes Foods. 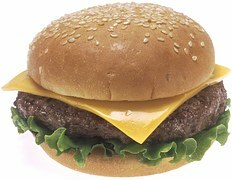 Create and enter a burger recipe, defined as a grilled patty formed of ground meat or other ground foods, and served on a bread product or alternative wrappings such as lettuce. It may include condiments, sauces, spreads, cheeses, and toppings, all in or on the bread product/alternative wrapping. No side dishes or garnishes are allowed. Size your recipe to make 6 burgers or 12-18 sliders. Recipes must be completely preparable in 60 minutes or less. The use of sustainable, organic, and locally sourced ingredients is encouraged. The sponsor would also prefer recipes that are not overly complicated or costly to make. Previous non-winning entries may be updated and resubmitted. Open to legal residents of the United States (excluding PR and other U.S. territories or possessions) who are age 21 or older. Previous finalists and winners are excluded. Check the rules if your work involves alcoholic beverages. 5 "Potential Winning Recipe" Prizes: $1,000 toward the purchase of Weber® products. Just for today, place all your troubles in the pocket that has the hole in it, then grab your favorite drink and relax with a good book or that movie you've been wanting to see. 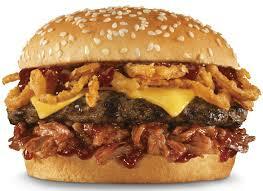 You always make me hungry. Le sigh. lol! I do the same thing to myself on most days Joy! Happy Monday! Very cool contests. I can cook, but only rarely use recipes or recall what I put into something. It's all instinct. Wish I had stopped at the Martha Stewart cafe when I was there in July. That's right! I do remember you stopping off to NY. There a few occasions where I think I have it all right and go out on my own throwing my own ingredients in like you, but I'm sure I'm nowhere near as talented as you. I still keep trying though (lol) Happy Monday! You know, I'm still not much of a cook. I use my Crock-Pot a LOT! Just throw stuff in there and 8 hours later, it's done. Most of my recipes come from allrecipes.com. My husband is a picky eater, so it's tough to find something he likes. When I do stumble upon such a thing, I add it to my regular rotation. Most of the time it's easier to eat out, though, because then he can get what he wants and I can get what I want! That sounds like a fun lady! That would have made my day - especially with getting the free candy out of it. I wasn't much of a cook until I got married but then I discovered I really enjoyed it. Plus I really love cookbooks. Have you tried Bobby Flay's Burgers, Fries, and Shakes cookbook? That's probably my favorite burger book. Have a great week! I'm an awesome cook but I can't cook steak to save my life. Lol. It's horrible, it gets stuck to the pan.ugh. that's a ton of cook books! Any good recipes? Mom's give such great advice- if we would only accept it. LOL! Enjoy the rest of your weekend, Ro! Thank you for the s'mores! You're welcome Angela. Totally yummy!